The Institute for Women’s Leadership Consortium and Rutgers Global present the 2018 Anita Ashok Datar Lecture on Women’s Global Health, featuring Cecile Richards. Richards is a national leader for women’s rights and social and economic justice, and the author of New York Times bestseller Make Trouble:Standing Up, Speaking Out, and Finding the Courage to Lead. 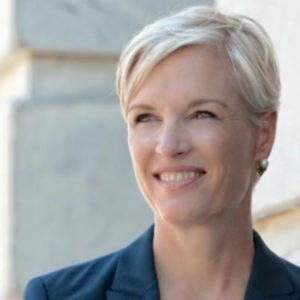 As President of Planned Parenthood Federation of America and Planned Parenthood Action Fund for 12 years, Richards worked to increase affordable access to reproductive health care and to build a healthier and safer world for women and young people. In 2011 and 2012, she was named one of TIME Magazine’s 100 Most Influential People in the World. This event is part of an annual lecture series honoring Anita Ashok Datar, an alumna of Rutgers University (’95) who dedicated her career to public health issues, especially those concerning women and children. While working on a mission for USAID in the African country of Mali, Anita’s life was tragically cut short when she was the lone American killed on November 20, 2015 in a terrorist attack that claimed 20 other lives. Rutgers University is proud to join Anita’s family and friends to create a lasting tribute to her remarkable life of service. The Anita Ashok Datar Lecture on Women’s Global Health draws to campus groundbreaking pioneers, researchers, field workers, and activists to explore growing international health challenges and the vital role that the United States and leaders from across the globe must continue to play in addressing them. Free and open to the public. Doors open at 6:30 for the 7 p.m. lecture, with a book signing and reception to follow. Visit Eventbrite to learn more, register, or submit questions for the Q&A portion of the event.